Any way you look at it, a spinal cord injury is a scary reality to consider. Yet, thousands of people find themselves facing this debilitating condition every year, and more than a quarter of such injuries are caused by something as commonplace as a car accident. While these spinal cord conditions are certainly devastating at any level, the severity of the injury has a direct impact on medical expenses and trial costs, making the financial burden that much worse for the patient and his or her loved ones. Let’s consider exactly how that correlation works and how spinal cord injuries are classified. At the broadest level, spinal cord injuries are divided into two distinct categories based on the damage inflicted on the spinal cord. Incomplete spinal cord injuries occur when the cord is partially severed, leaving behind some motor skill and sensory function. Which areas of function are affected depends greatly on what part of the cord was damaged. Anterior cord syndrome (damage to the front of the cord), for instance, most impacts motor and sensory pathways, while Brown-Sequard syndrome (damage to one side of the cord) typically causes greater issues on a particular side of the body. Meanwhile, complete spinal cord injuries eliminate function completely and offer the chance for rehabilitation only through an intense treatment plan. These are the severe injuries that result in patients becoming tetraplegics (paralysis of all limbs) and paraplegics (paralysis below the waist). In these cases, understanding the connection between severity of your injury and the resulting lawsuit is particularly important. 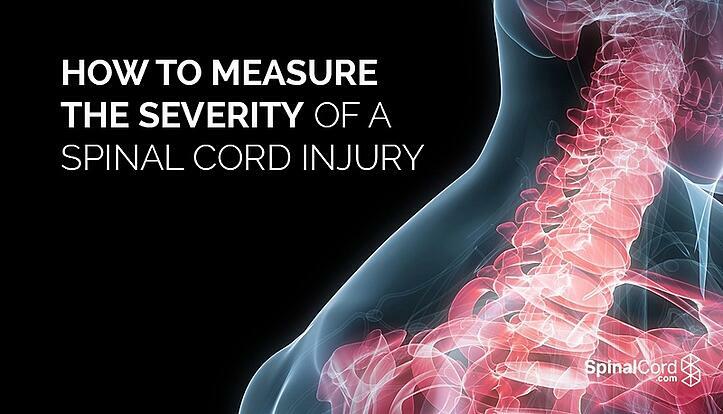 Though the medical classification of incomplete and complete spinal cord injuries begins to paint a clear picture, the American Spinal Injury Association (ASIA) and International Spinal Cord Society (ISCoS) have developed their own measure of just how serious such an injury really is. The aptly named ASIA/ISCoS Exam and resulting grade is the go-to gauge to determine treatment and recovery needs. Ranging from Grade E (all nerve function has returned) to Grade A (motor and sensory function is totally absent below the injury site), the exam is typically performed within the first 72 hours after the injury takes place. Based on how harsh an injury you’ve endured, the corresponding costs can become staggering in no time. That’s why considering a lawsuit is a wise move to offset the mounting costs. Here are some of the factors you’ll need to take into account when determining how much of a hit your wallet will take due to your spinal cord injury. Medical expenses: The medical expenses involved in treatment, rehabilitation and related costs for your spinal cord injury can reach as much as $1 million during the first year (and roughly $185,000 each subsequent year). That figure is not only excessively high, but it is far beyond the capabilities of the average citizen. Travel expenses: Sometimes, it’s necessary for you to travel great distances to get the care you need, or maybe select family members have had to traverse the nation in order to provide you with consistent care. In either case, don’t forget to factor in the thousands of dollars you’ll be spending on travel expenses and related costs. Lost wages and earning potential: Because many spinal cord injuries prevent patients from returning to work, it’s very possible that you’ve lost significant wages that you otherwise would have been able to earn, in addition to the loss of future earnings potential. Account for these within the costs of your injury, since the connection is blatant. Proceeding with a lawsuit can ultimately provide significant aid to a patient. As a rule of thumb, the more severe the injury, the greater potential you have for a higher settlement in a spinal cord injury case. However, countless other factors play into exactly how much of a settlement you’ll receive. These can include the amount of expenses, the evidence at hand as well as your own personal and general health condition. After all, a more sympathetic figure is more likely to yield a greater return. That being said, the severity of your spinal cord injury remains the most influential factor in your shot at reaching the settlement you need to begin your steady climb back to some sense of normalcy following your personal crisis. Yet, it all starts with knowledge, and now that you have a greater idea of what’s at stake, perhaps you’re already one step closer to lifting the financial burden off your back. Remain persistent and, with any luck, you’ll be making progress in no time. 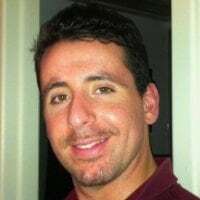 Written by Robert Yaniz Jr.
Robert Yaniz Jr. has been a professional writer for more than a decade, including print and online publishing. His experience includes writing various materials for the marketing communications department of a global law firm.